Manoj has completed B.Sc. (Agriculture) from University of Agricultural Sciences, Bangalore, MS in Plant Science from University of Idaho, Idaho, USA and Post Graduate Diploma (Full time) - with specialization in Human Resource Development from Symbiosis Centre for Management and HRD (SCMHRD), Pune and Academy of HRD, Hyderabad. Manoj has over 14 years of experience of which 2 years was in operations and over 12 years of diverse experience in Human Resources, which include Talent Management, Recruitment, Compensation and benefits, Change Management, Statutory compliance, Employee relations and HR Business partnering. He has worked for Parry Agro Industries/Parry Neutraceuticals, Ingersoll-Rand (India) Ltd handling the entire gamut of HR activities. Later he was associated with ABB Ltd, as Manager - HR for the Global Engineering / software center and Global sourcing center handling the Talent acquisition, Talent development, Employee engagement activities. He then moved to Molex India as Section Manager - HR handling the entire Talent acquisition and Performance management. 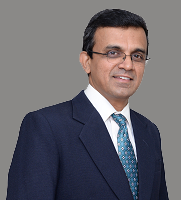 Prior to joining us he was with AstraZeneca India Pvt Ltd (R&D) as Associate Director - Human Resources for Corporate, Specialty Care Business and Clinical Research and was also responsible for AstraZeneca Pharma India Ltd for Sales/Marketing and Manufacturing organization.